La Marzocco USA is excited to introduce Marco and their advanced line of coffee equipment to the USA! Uber Boiler – You probably have heard of it before. 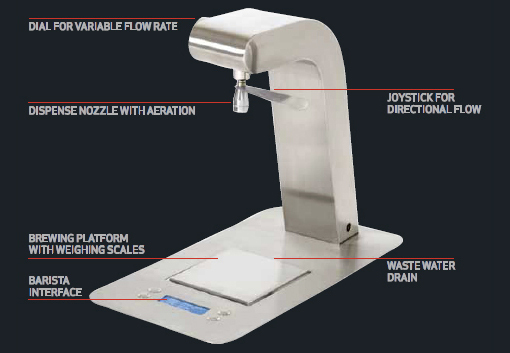 It is the result of an engineering collaboration between James Hoffman, Anette Moldvaer, Stephen Morrissey, and Marco – a precise water delivery system designed to deliver exact volumes of water at exact temperatures to meet the needs of uncompromising manual coffee brewing. When Hoffman’s Penny University opened, it was the only piece of brewing equipment used. Download brochure here. Uber Grinder – The other product in Marco’s Uber Project and a result of collaboration between Marco and Mahlkonig. It has the body of a Mahlkonig Tanzania but with a proprietary, unique burr set that produces an amazingly narrow grind particle distribution curve. 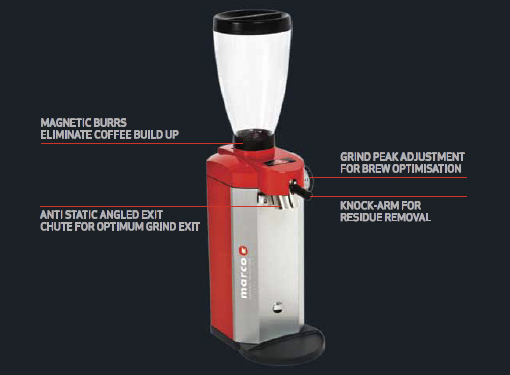 Download brochure here (UPDATED: the Uber Grinder is 110V). Ecosmart 10L – An electronically controlled, insulated hot water tower with a digital temperature display and programmable features. Unlike typical hot water towers that immediately displaces every cup of hot water you use with incoming cold water and thereby lowering the temperature of the entire vessel, the Ecosmart prioritizes temperature stability by controlling when and how much cold water can enter. Also features an “Ecomode” for saving energy use during off peak hours. Download brochure here. 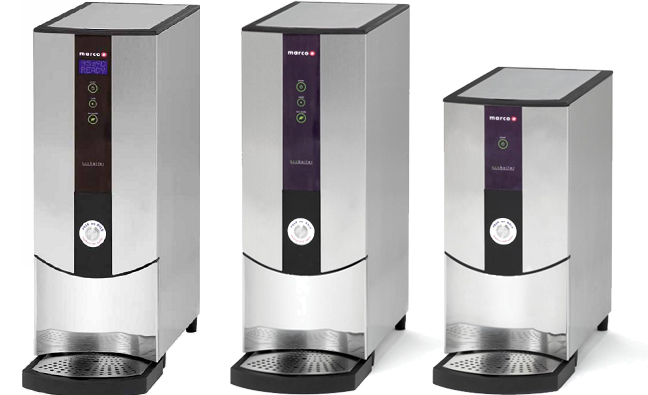 Ecoboiler 5L and 10L – Same as Ecosmart but no digital display. Insulated and made with 95% recyclable materials. “Ecomode” available on 10L model only. Same brochure as Ecosmart. La Marzocco USA is Marco’s exclusive distributor in the USA and can sell to Canada as well. Visit La Marzocco USA’s booth (#625, 627, right next to Barista Magazine and Espresso Parts) at Coffee Fest Seattle!